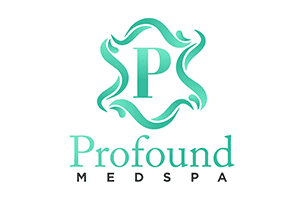 The providers at Profound MedSpa in Trooper, Pennsylvania, offer medically sound and clinically proven skin rejuvenation treatments that can reduce or even eliminate age and sun spots, wrinkles, and acne scars. Rejuvenation treatments can also restore youthful vibrance to your skin, improve your skin’s tone and texture, and erase years from your face. For a consult regarding what skin rejuvenation can mean for you, give the spa a call to schedule a visit or book your appointment online. Skin rejuvenation includes a variety of treatments designed to restore health and youthful vitality to your skin. And it’s not always about age. Sun exposure, inappropriate diet, lack of exercise, and other lifestyle choices can affect your overall health. These unhealthy habits can also impact your skin’s tone, texture, and clarity, regardless of your age. Other issues clients struggle with include pigment changes or age spots, skin irregularities due to acne or rosacea, and loss of skin firmness and elasticity. Skin rejuvenation treatments are designed to address all these problems. What treatments can I expect with skin rejuvenation? You may also be an appropriate candidate for a ThreeForMe™ treatment that’s unique to the Icon™ laser system. It eliminates fine lines, wrinkles, age spots, sun damage, and unsightly veins during the same session. What happens during a ThreeForMe session? The ThreeForMe laser treatment uses two lasers, one with an IPL attachment and one with a microbeam laser. Together, the lasers tackle three common skin concerns – wrinkles, sun damage, and facial veins – in one session. It takes about 30 minutes to complete each session. You may need one to three sessions spread several weeks apart for best results. Which skin rejuvenation treatments am I a candidate for? The only way the skin specialists at the Medical Spa of Pottstown can determine which therapy or combination of therapies are best suited for your needs is to perform a skin exam. Your provider will also review your medical history, current medications, and other factors pertinent to your skin’s health. The mission of the Medical Spa of Pottstown is to partner with you and work for you as they help accomplish your goals. Give the Medical Spa of Pottstown a call today to schedule your skin rejuvenation evaluation, or use the convenient online scheduling tool to book your visit.